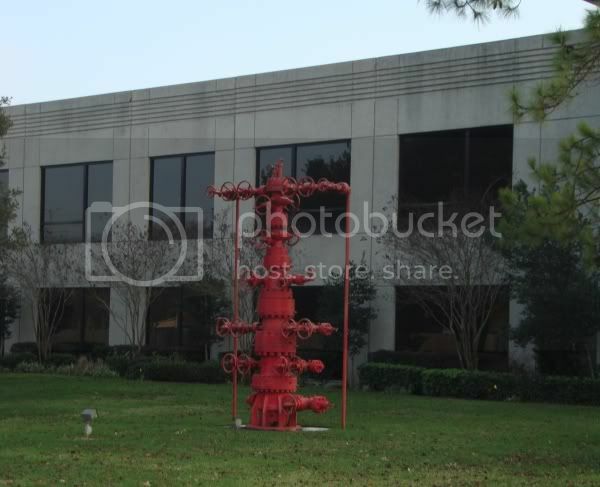 I promised an additional example of corporate plop that has an origin and purpose rather different from the usual large sculpture in front of an office building. This is a sculpture that you might call an accidental sculpture. It's not meant to be art, and yet can be visually interesting and even beautiful. This example, in front of FMC Technologies at 1803 Gears Rd. is a perfect example of what I am talking about.